Let’s get back to this series. If you’ve read Nicole Ibrahim’s blog you’ve already seen most of this data, I’m just doing my own testing to confirm her findings and see what else I find. Today let’s look at artifacts of file access from an Android phone using MTP. 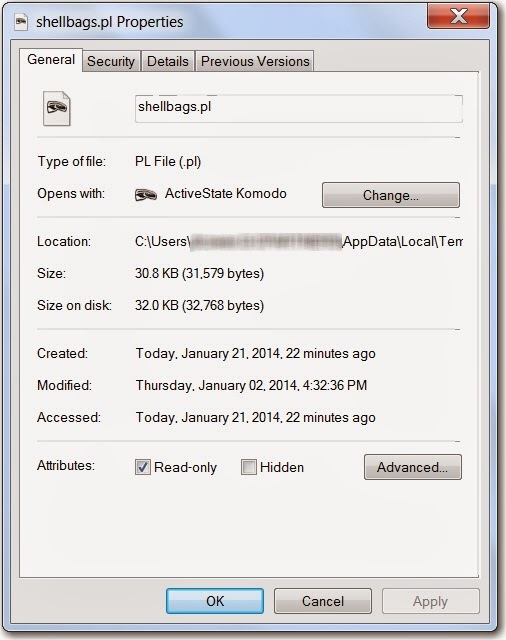 located under it was the shellbags.pl file I accessed from the phone as expected. There will be one GUID folder created for every folder that a file is accessed from within the MTP device, for all MTP devices accessed. 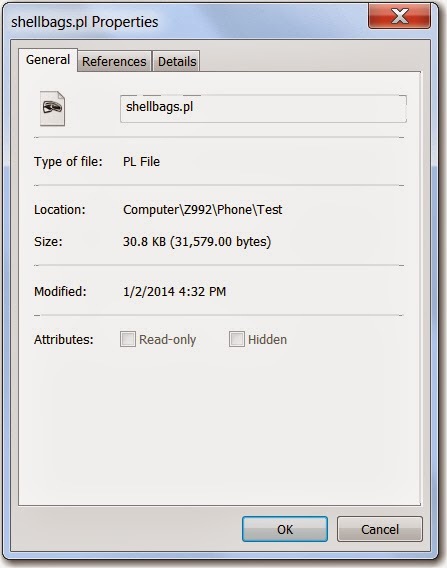 To determine which folder or device this GUID came from you’ll have to go to the shellbags. We’ll cover that tomorrow and look for other sources of this correlation. What was interesting to me that I didn’t see Nicole mention was the dates on the file located under the GUID folder. The creation date of the file was set to the time I accessed the file from the phone, not the time the file was copied to the phone. Tomorrow let’s look what other artifacts are left from these file copies and accesses.